It isn’t often you’re given the chance to sit down and talk to someone like Hiroshi Shimizu . As a key animator, his work spans virtually the entire history of anime most fans these days are familiar with, from Studio Ghibli ‘s groundbreaking, beloved work of the 90s to just about every flavor of Lupin III . A frequent collaborator of superstar director Sayo Yamamoto , Shimizu handled character design on Michiko & Hatchin – an experience that led him to work on just about all of Yamamoto’s projects since then, including some key animation for Yuri!!! on Ice . With an unbelievable career like that, there’s so much to discuss – which is why we were honored to get a chance to speak with the man himself at Crunchyroll Expo this year. Of the films you worked on at Studio Ghibli , which one was the most memorable? The most memorable one for me would probably be the first one – Only Yesterday . The big difference between that project and others that I’ve worked on is that I worked on it from one cut to one cut, fully animating. It involved a lot more work. There’s a scene in Only Yesterday where they play baseball. I did a bunch of research for this – I went to watch elementary school kids play baseball, and put a lot of effort in to trying to draw it naturally. Which one was the most stressful? Well, I originally became involved with Studio Ghibli because I wanted to work with Hayao Miyazaki . One of the first projects I worked on with him was Princess Mononoke , and it was difficult to meet the demands of production – the bar was really high, so I had some trouble with it. You worked with both Hayao Miyazaki and Isao Takahata on films they directed. How would you compare the two experiences? Miyazaki is an animator, he can draw. He’ll draw what he wants you to do – he’ll illustrate the movement, hand it to you and show you what he wants. Takahata doesn’t have that background – he has to explain to you using words what he wants to see. So it’s a very different experience. Did you see the documentary “In the Kingdom of Dreams and Madness”? What did you make of it? Yeah, I saw that when it came out. They actually had a camera crew inside Studio Ghibli for 24 hours a day over several days – I think it was pretty accurate. Every time Miyazaki got angry about something the crew would rush over. Really any time he said anything they’d hurry over and make a scene out of it. Are there any cuts of yours in the Ghibli films you’ve worked on that you’re particularly proud of? Any we should watch out for, scenes we might recognize? There’s a scene in Porco Rosso where children are taken away by pirates and they’re playing around, but the kids are causing problems playing around on their ship. That’s when Porco Rosso arrives and starts firing. I had a great time working on that scene – and Miyazaki even complemented me on it. What prompted you to leave Ghibli? Mononoke Hime was very tricky to work on. Miyazaki-sensei was very strict – at the time, that was supposed to be his last movie. He had very strong feelings about it and was very demanding – everyone felt a lot of pressure. After that, I didn’t really want to work at Studio Ghibli anymore. You’ve worked with a huge variety of anime directors, from the late Satoshi Kon to Mamoru Oshii , and you’ve directed plenty of animation yourself. What makes a good animation director, in your opinion? It takes someone who has clarity of vision and can clearly express what that vision is. It doesn’t matter if it’s Kon-san or Oshii-san – it needs to be someone who can explain things to their staff and clearly convey what they want and what they’re going to need. Having that power of self-expression and being able to explain what you want is crucial to being a director of animation. If you can’t – and you look at the work of someone who can’t do that – their work is all over the place, and it doesn’t really hold up. Is there someone, or even a studio, you enjoy collaborating with the most? If so, why? It was during my time on Mitchiko & Hatchin – working with Sayo Yamamoto , it was her first time directing actually and I got a lot of clear communication from her on that work. She was someone I really enjoyed working with. You did key animation on Yuri!!! on Ice too – did that come about due to your collaborative relationship with Sayo Yamamoto ? Ever since Michiko & Hatchin I’ve been getting offers from Yamamoto-san to work on her projects – she called me to work on The Woman Called Fujiko Mine, and she called me to ask me to work on Yuri!!! on Ice . I was busy with a Doraemon movie at the time, so I could only participate in the last few episodes of Yuri!!! on Ice . You handled character design on Michiko & Hatchin – was that a new experience for you? What lessons had you learned in key animation that prepared you for character design? It’s very different work – there isn’t much overlap between key animation and character design. One thing I did think of is that it’s important to make sure the keys are easy to move, to design things so they’re easy to animate. You were designing those characters from scratch, right? For Michiko & Hatchin , yeah, it was from zero – I’d show the designs to Yamamoto-san, she’d give me feedback and I’d change it a little bit at a time, that’s how it came together. 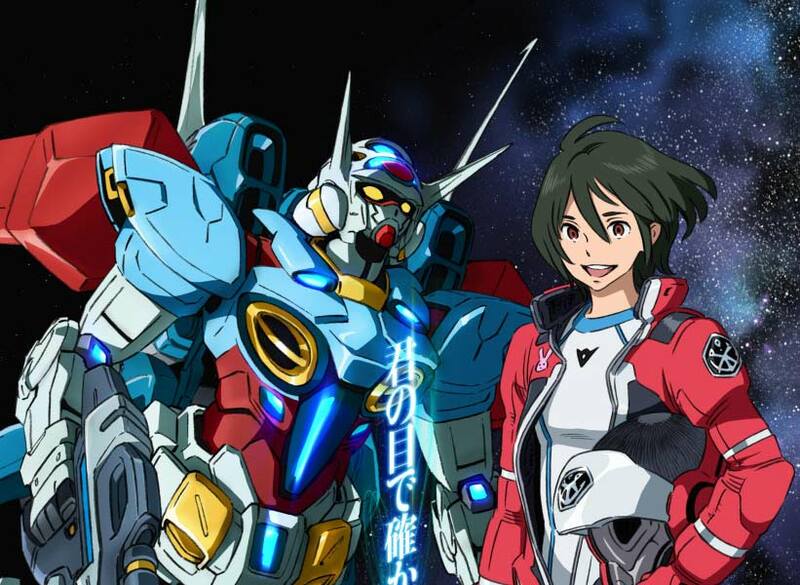 You served as animation director on Gundam: Reconguista in G – did you work directly with Tomino at all, and if so, what was that experience like? I wanted to work on Gundam because I’m a fan of Mr. Tomino. A friend of mine from Studio Ghibli – Yoshida Kenichi brought me in. I’d heard these rumors that Tomino-san was super scary so I kept my distance. I basically didn’t see him the entire time I did my work, so I didn’t actually run into him until the closing party. I did get to meet him once there – because it was the wrap party, he was actually really happy, so I didn’t have to worry about seeing that scary face. You directed a couple episodes of Space Dandy , which you also storyboarded and did some guest character design for. How much creative control did you have over the story on your episodes? Was the production process on that show different than what you were used to? I was contacted by Shinichiro Watanabe as the project was coming together, asking if I’d like to have input in the overall story, but I was busy with other work. He did bring me in to work on the storyboards for a few episodes, and I was able to put some influence in there, some of my own ideas for a change, but I didn’t actually have any impact on the overall story. There was a screenplay already there, but my creative contribution came in through the storyboards. You’ve been animating Lupin III since the 1980s, through a whole array of character design changes and different eras in the show. In what way do you think Lupin has changed the most over the years? I watched Lupin III when I was a kid – I loved it. Then I saw The Castle of Cagliostro and also really loved that. When I think of Lupin, that’s what I think of. 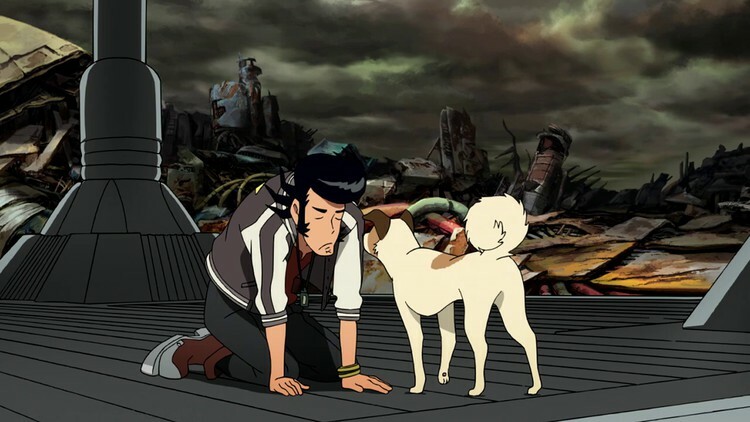 But I also really loved The Woman Named Fujiko Mine and also Koike’s work on the franchise – those were more serious and realistic, that Lupin is cool too. In the old Lupin, you still had a serious side to it, but they had great gags – I miss the old gags, but I love the serious Lupin stuff. Which version of Lupin was the most challenging for you to work on, and which version is your personal favorite? Koike’s stuff was the hardest – he has a very difficult style, very sharp. That was the hardest for me to replicate. There’s a surprising number of people who have been working on Lupin for a very long time, across all these different styles. 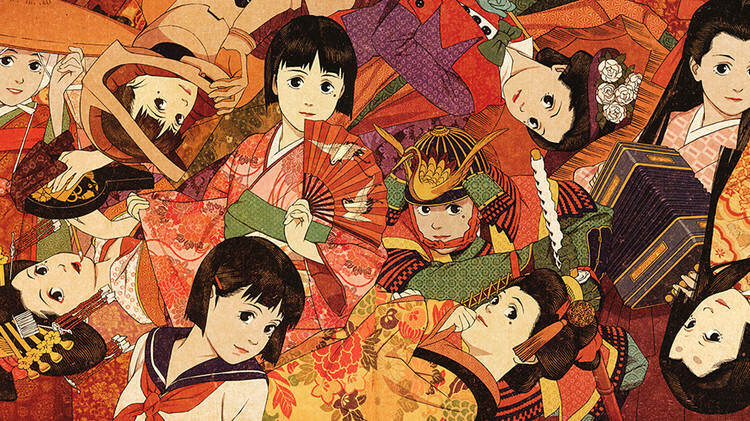 Can you tell us a little about what it was like to work with Satoshi Kon ? What was he like as a person? I didn’t do that much work for him, but he was actually pretty angry and scary. It might’ve come from the fact that he was so incredibly talented – there was probably no one better at drawing in the world of animation, period. It’s difficult to be that guy. He was very strict. What’s your take on the current work conditions for animators in Japan? What do you think the major problems are, and what do you think it would take for change to occur? The problem right now is, there are too many projects and not enough animators. A lot of stuff winds up going overseas, to China and Korea, because there aren’t enough animators to do the inbetweening work in Japan. So new animators can’t learn via that experience and become better – there aren’t a lot of new animators and the old ones are retiring. Good animators in general are starting to disappear. This whole process requires money and not a lot of people are paying animators very well right now – so that’s another reason for the disappearance of good animators. Do you think the responsibility is on the studio to pay the animators more? They should probably provide more of the project budget to the animators – right now it goes other places instead. Do you think the anime industry is in a production bubble right now? Thanks to the internet, anime is popular everywhere and that means more and more people are watching it, and thus more and more shows get created. That doesn’t mean more pay for animators and it doesn’t change that much for me as an individual – but because of that passing popularity it could be a bubble. What do you think it would take for things to change, for more of that production money to flow down to you, the animator? I’ve heard that in America, it’s more popular for creators to get some manner of royalties or IP rights that allow them to continue collecting residuals, especially if the show becomes popular. In Japan, you get a one-time payment, you don’t collect royalties if the show is a huge hit. So I think we need a system more like that – where creators (and animators) can get some more of those residual payments, especially if the show is a hit. Of the countless things you’ve worked on, what are you most proud of? Is there one cut, one piece of animation you’d like people to know you by? I’m proud of the work I did at Studio Ghibli – it affected a lot of my other work. Also my work for Sayo Yamamoto on Michiko & Hatchin – that was very satisfying. Now that Yuri!!! on Ice is such a huge success, I’d like the fans of that show to go watch Michiko & Hatchin ! Thanks to Hiroshi Shimizu and Crunchyroll Expo for the opportunity.